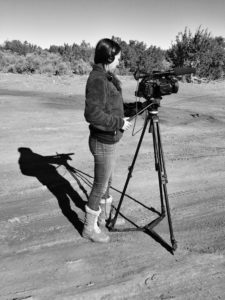 The Center for Media, Culture and History is affiliated with the NYU Department of Anthropology and Cinema Studies’ Graduate Certificate Program in Culture and Media. The NYU Departments of Anthropology and Cinema Studies offer a specialized joint course of study leading to a New York State Certificate in Culture and Media for NYU graduate students who are also pursuing their PhD degrees in Anthropology or MA/PhD degrees in Cinema Studies or Comparative Literature. The Program’s philosophy takes a broad approach to the relationships between culture and media in a number of domains including: ethnographic film’s significance for the fields of anthropology and cinema/media studies; problems in representation of cultures through media; the development of media in indigenous, Diaspora, and non-Western communities; the emerging social and cultural formations shaped by new media practices; the political economy shaping the production, distribution and consumption of media worldwide; and the impact of new media technologies on these processes.